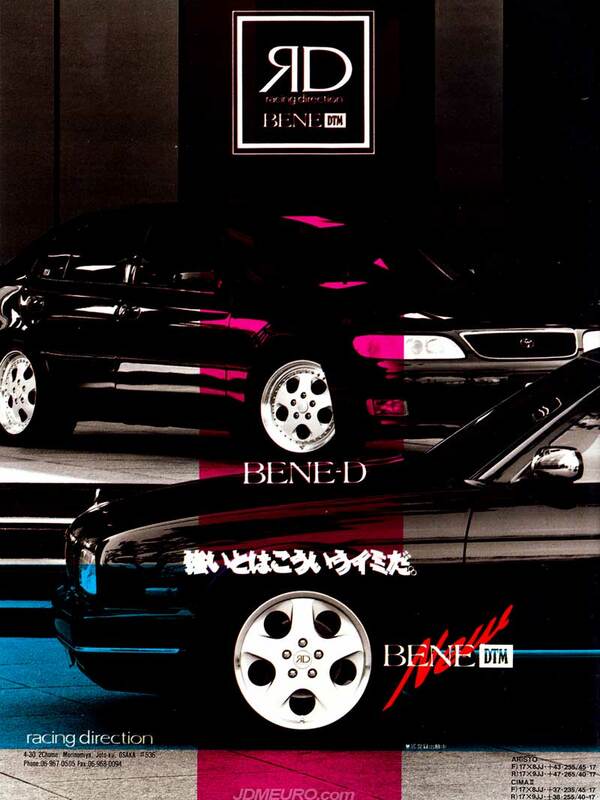 The Riverside Trafficstar DTX & Riverside Trafficstar RTS are VIP Wheels from JDM Wheel manufacturer Riverside Co. 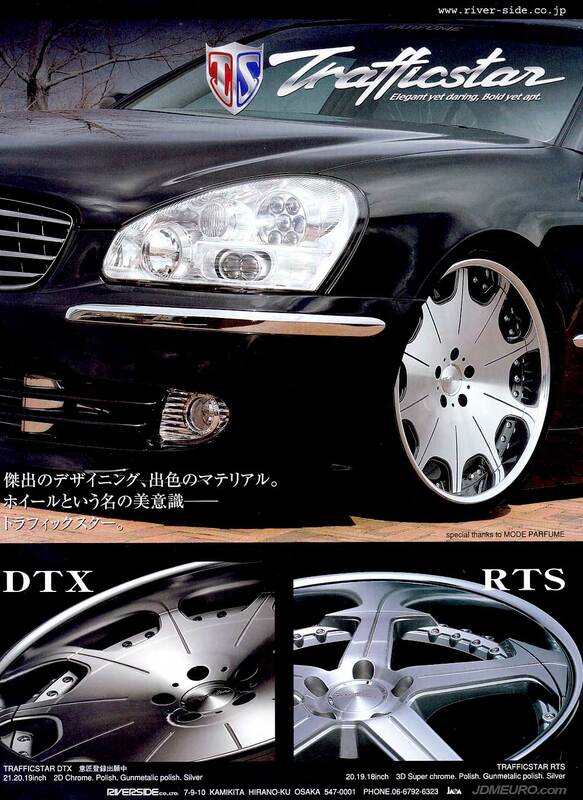 The Riverside Trafficstar DTX VIP Wheels features 3 piece construction all bolted to a 10 short spoke face. Also pictured are the Riverside Trafficstar RTS VIP Wheels, which feature a 5 spoke design and 3 piece construction. Pictured are the on a Riverside Trafficstar DTX Nissan Cima. The Weds Kranze Ratzinger are VIP Wheels which I believe have a USDM flare to them. 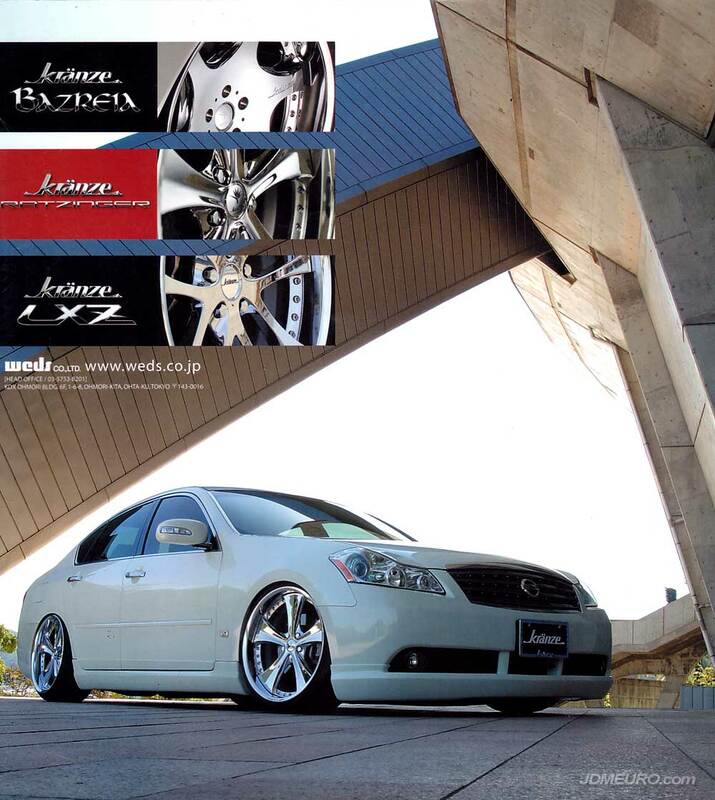 The Weds Kranze Ratzinger are JDM Wheels with a 5 spoke design with a reverse moumt style lip. Pictured are the Weds Kranze Ratzinger in a chrome finish mounted on a VIP styled Nissan Cima. Also Pictured are the Weds Kranze LXZ and Weds Kranze Bazeria.